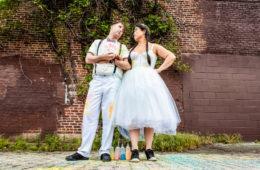 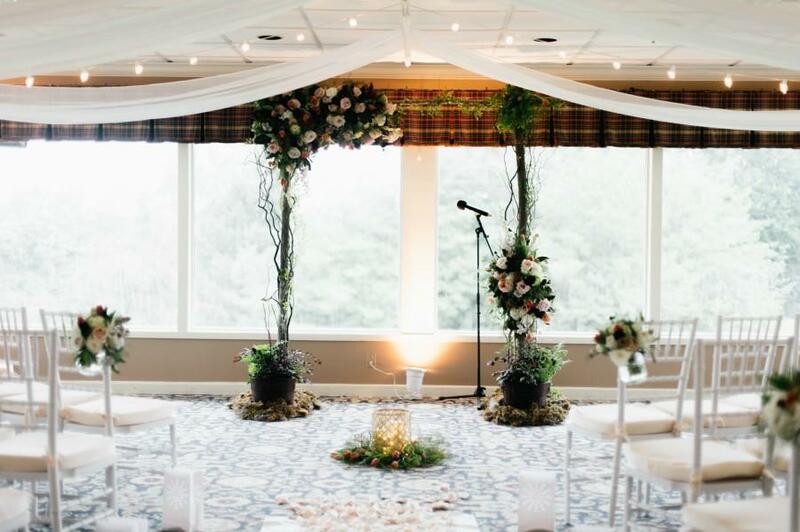 As tradition would have it, wedding arches represent the future home of the bride and groom. 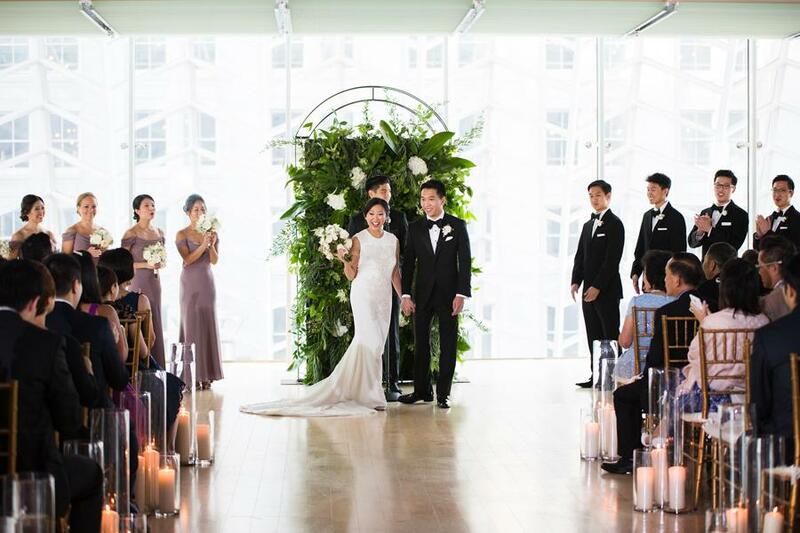 The frame that surrounds their love is also the backdrop to the photos the couple will cherish forever. 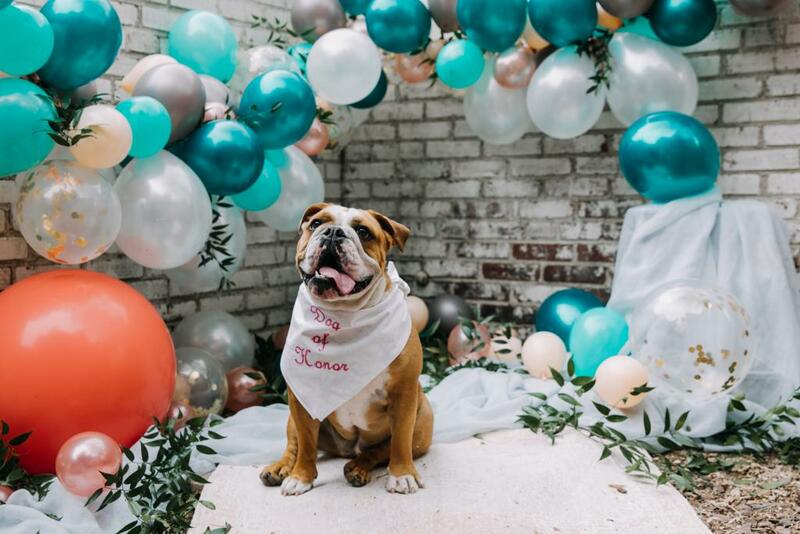 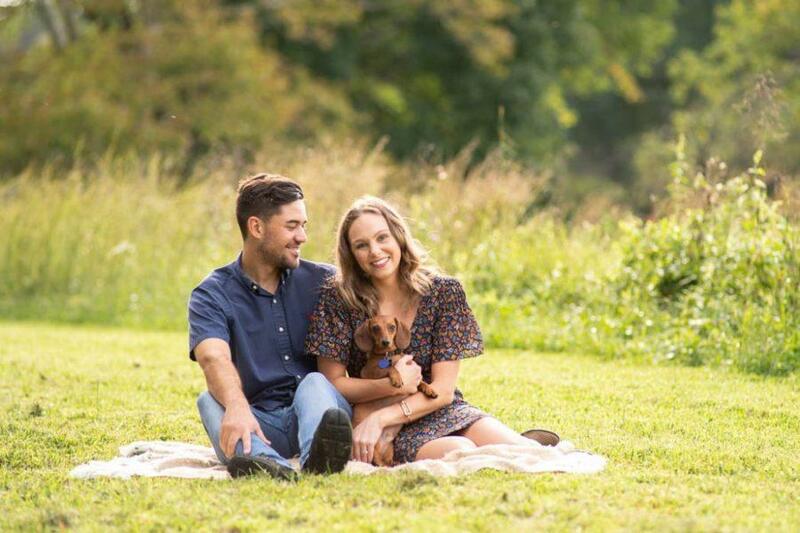 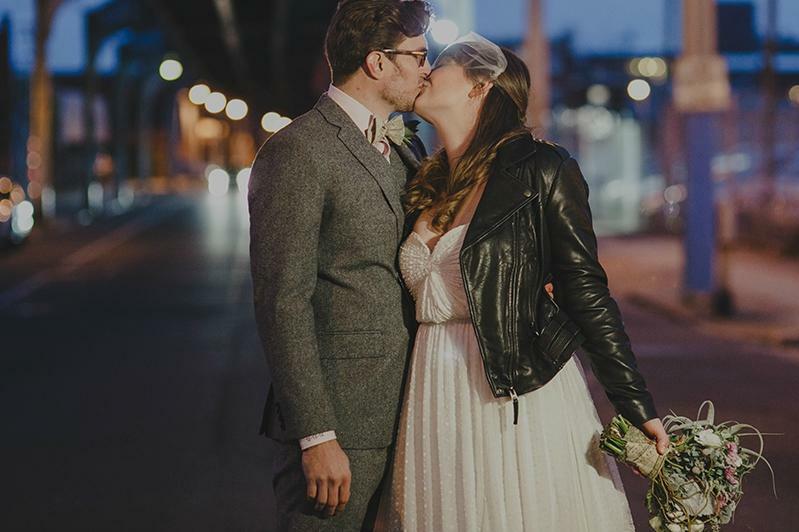 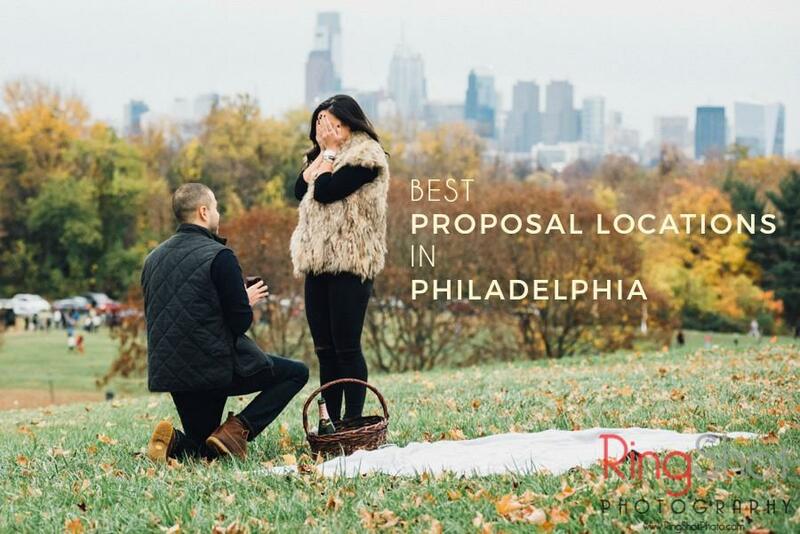 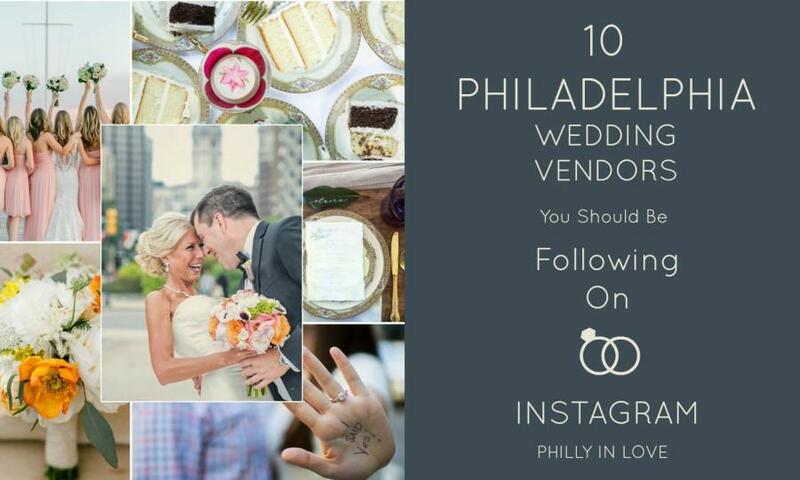 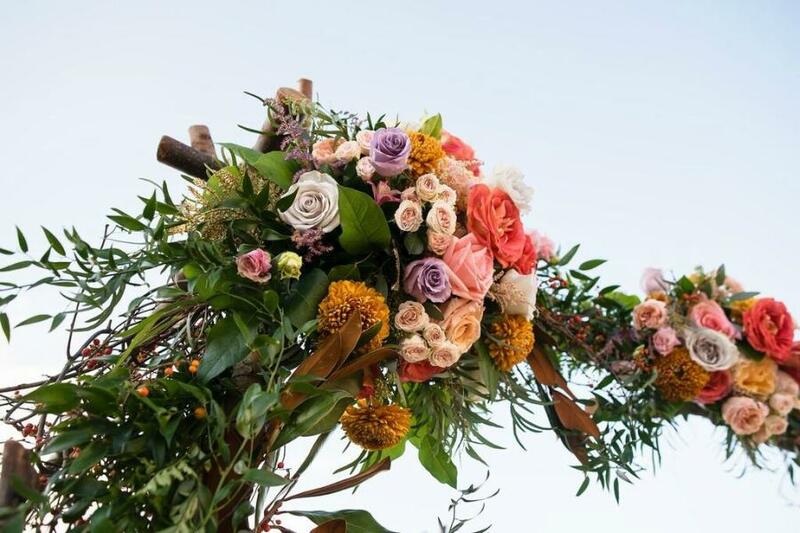 Floral trends are making waves when it comes to arches, and couples are getting more creative with their special arbors. 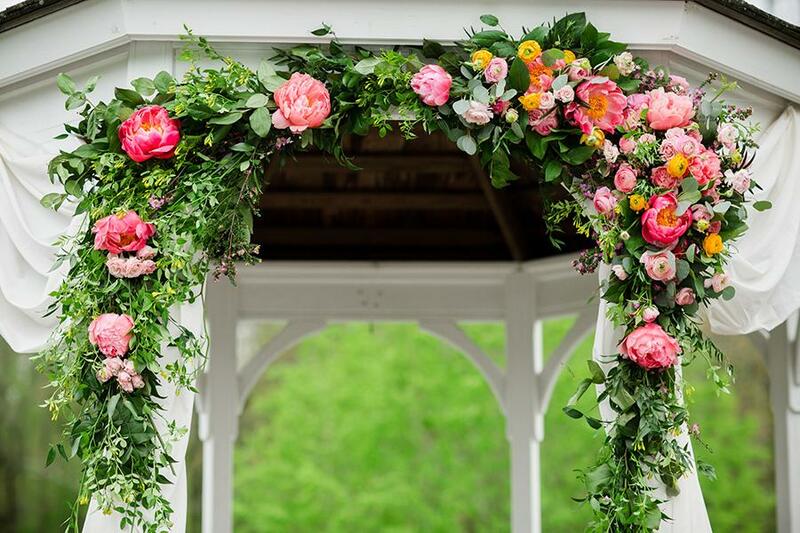 We’d like to think that the flowers signify their budding love, and these 8 floral arches below are definitely swoon-worthy. 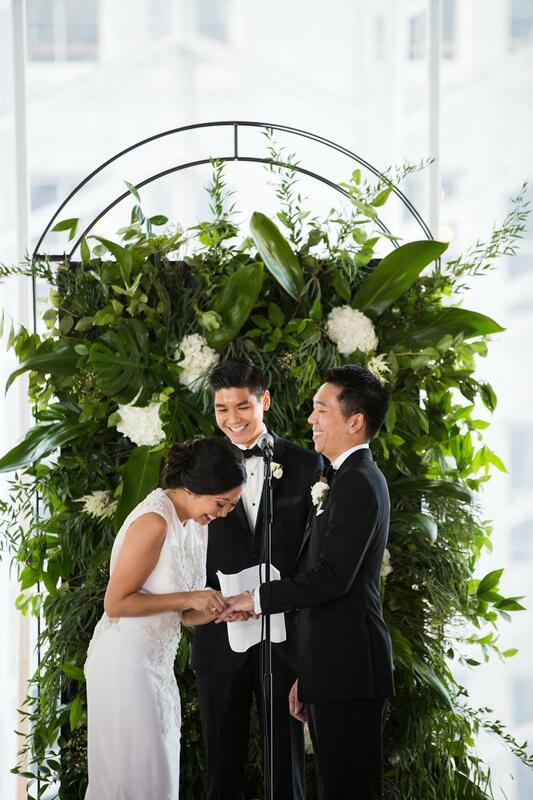 Beautiful Blooms created this beautiful flower wall that incorporated a background of greenery with lush white florals scattered throughout. 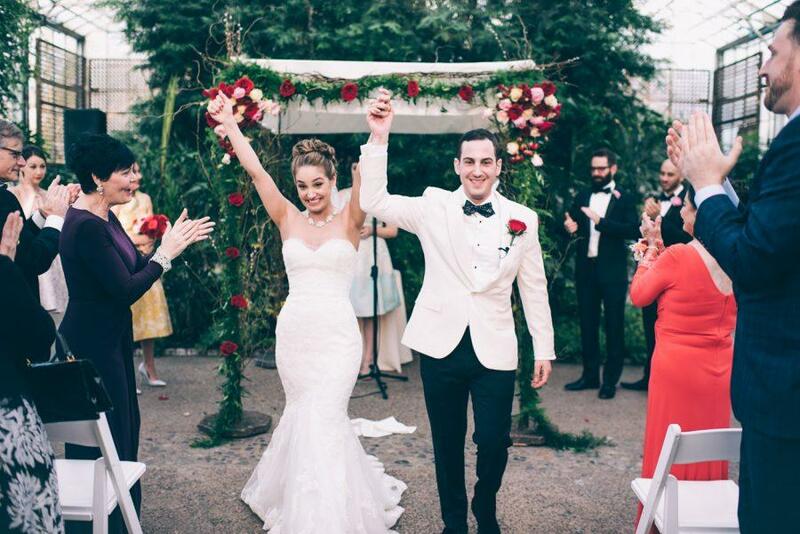 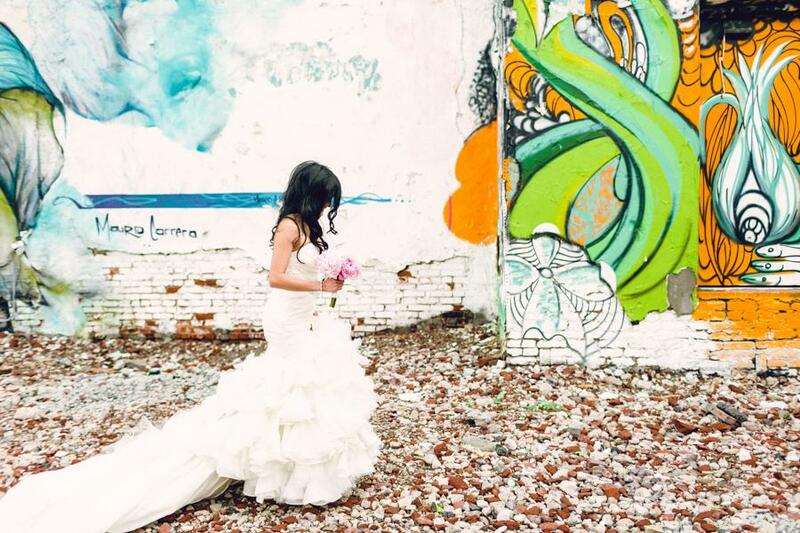 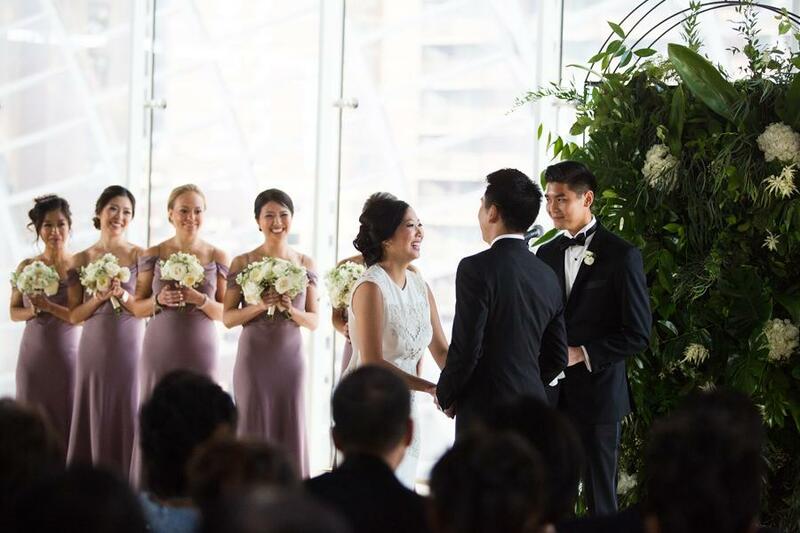 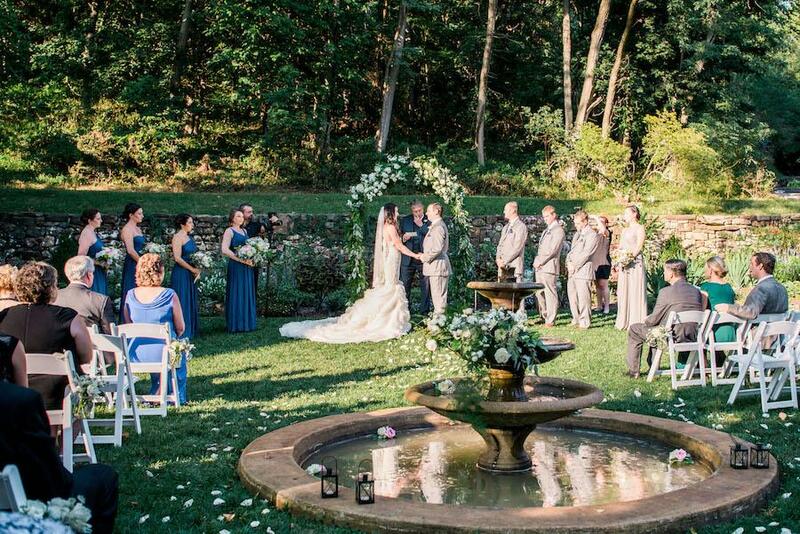 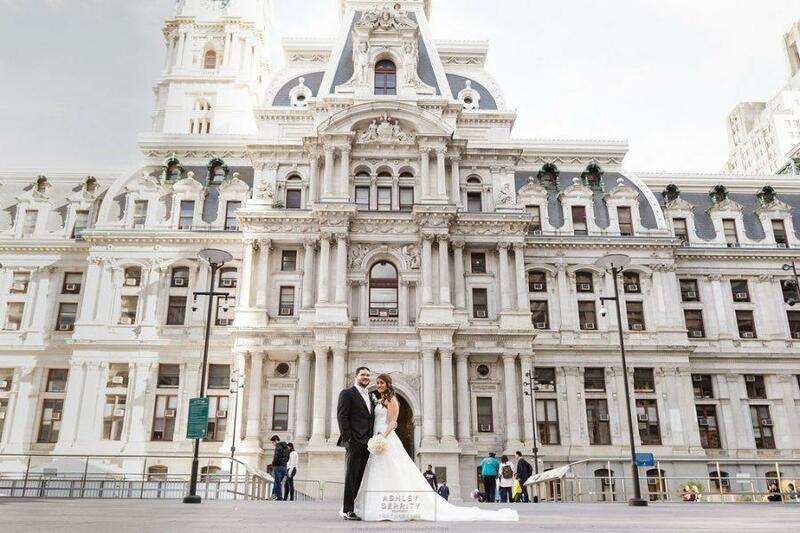 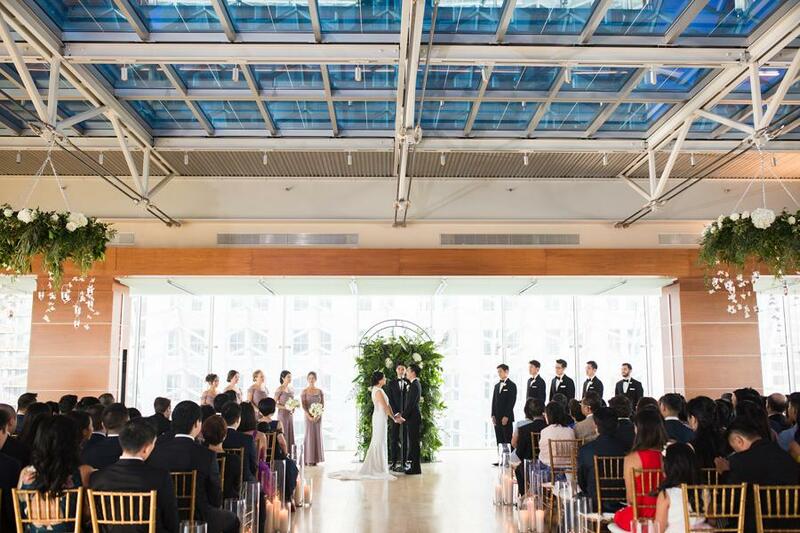 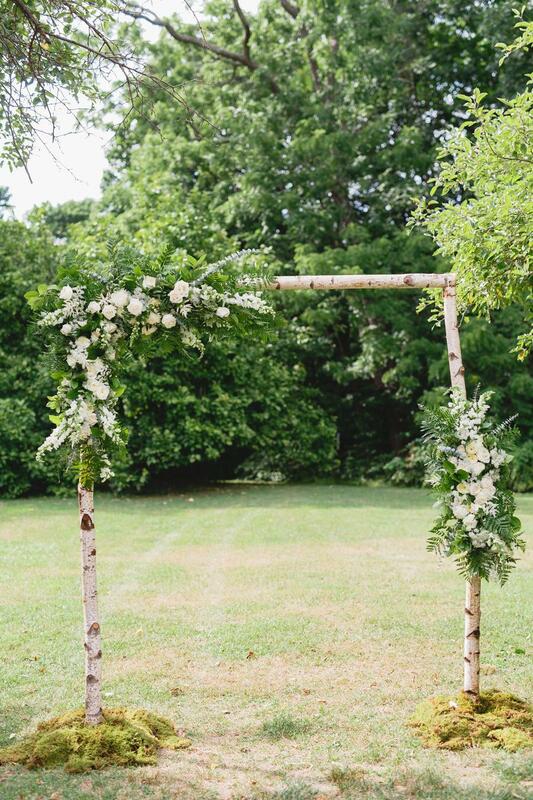 This couple even used the arch to double as the backdrop for their sweetheart table. 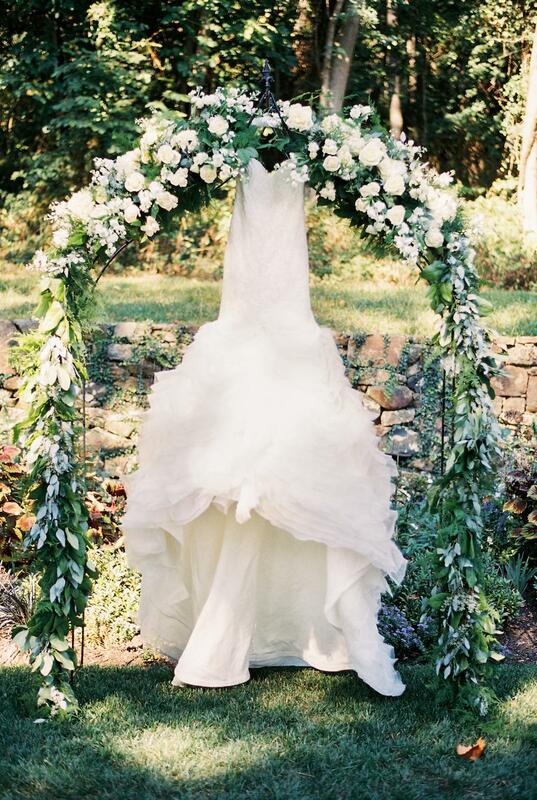 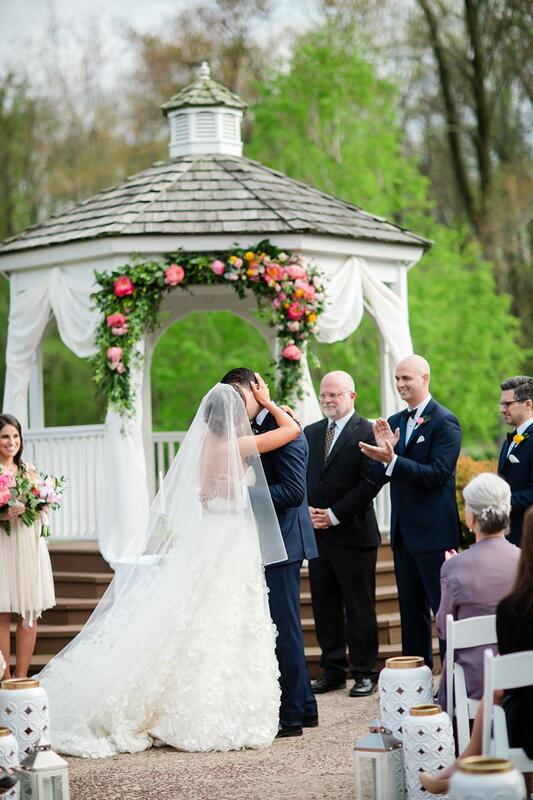 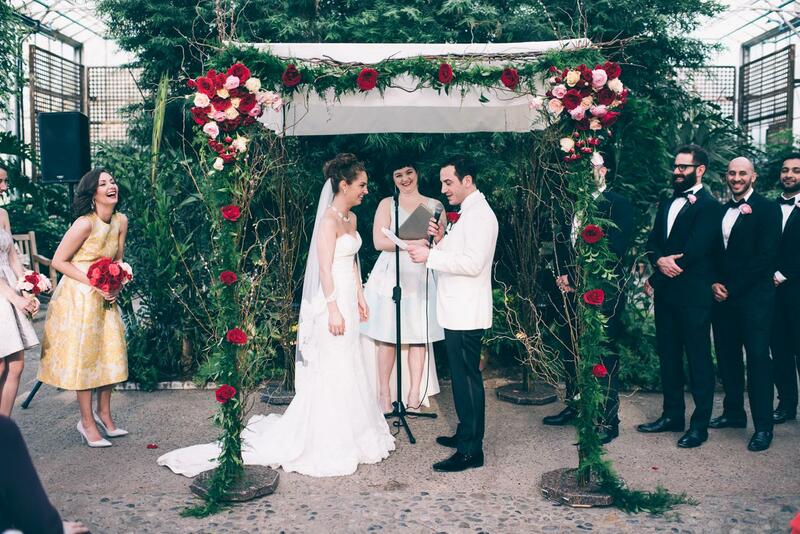 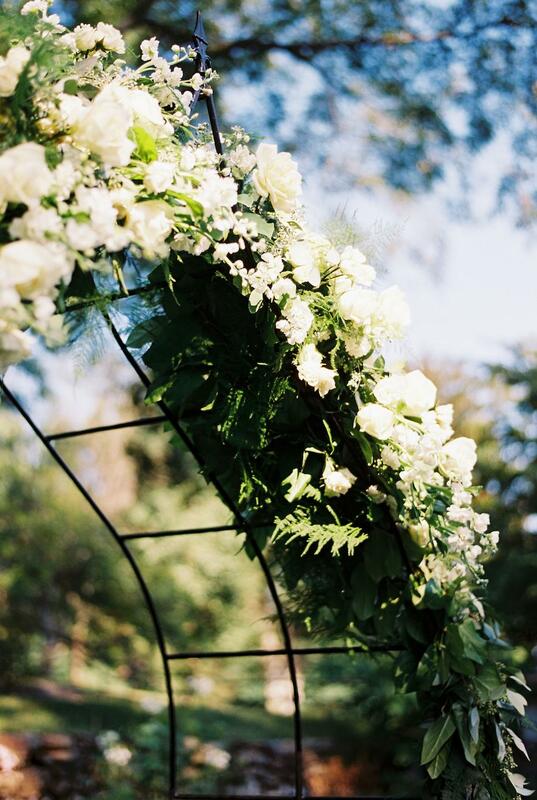 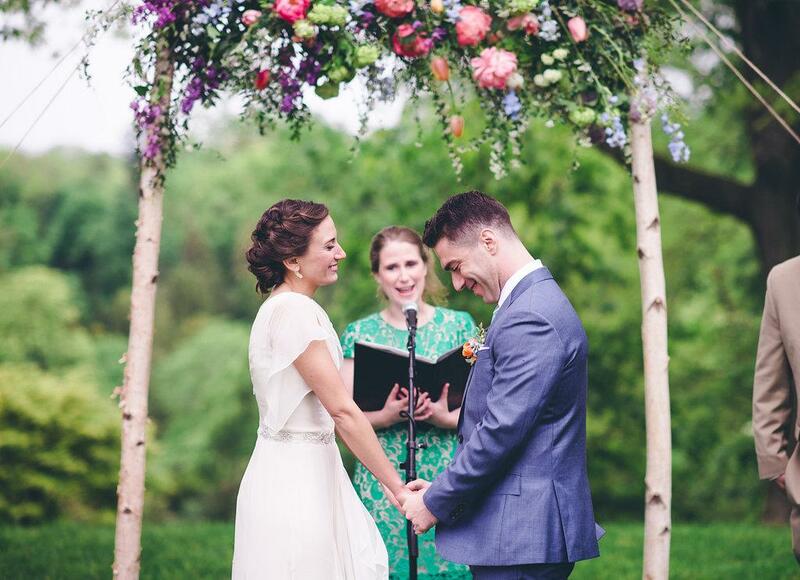 Papertini perfectly adorned this arch with the prettiest details. 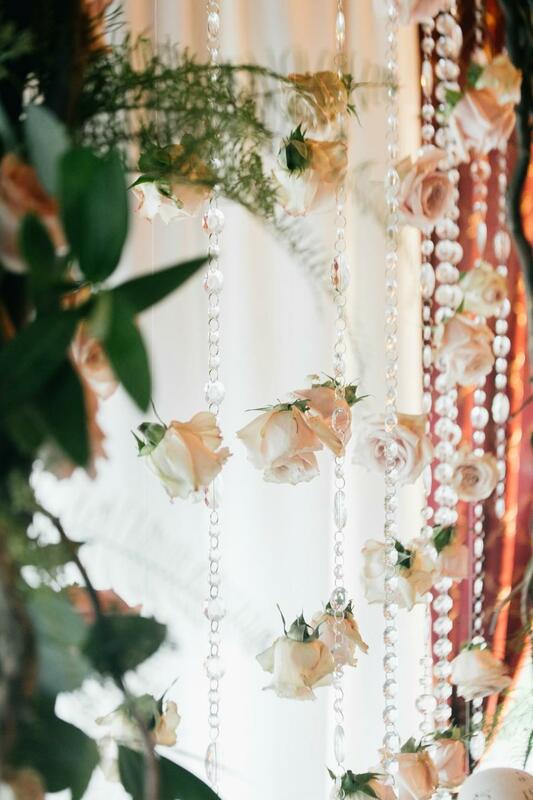 From the crystal beads that dangled from the branches to the pots that rooted the arbor – every intricate element was beautifully put together. 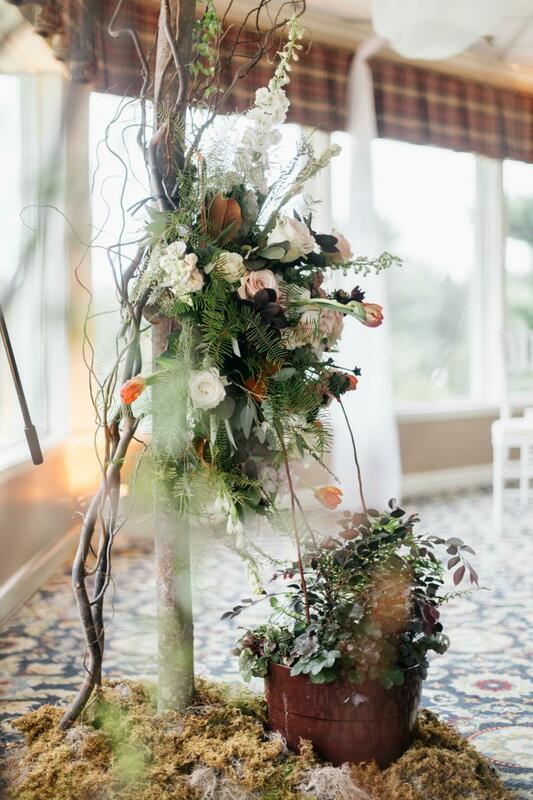 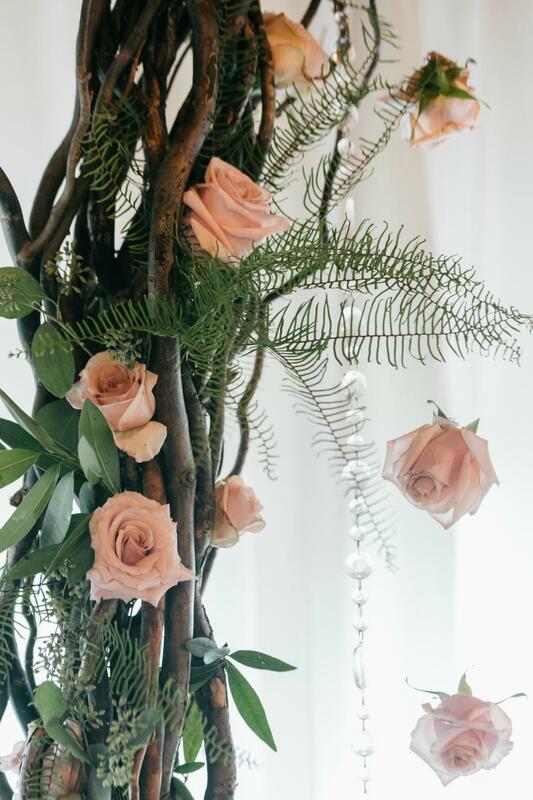 Beautiful Blooms WOWED us with this beautiful rustic piece. 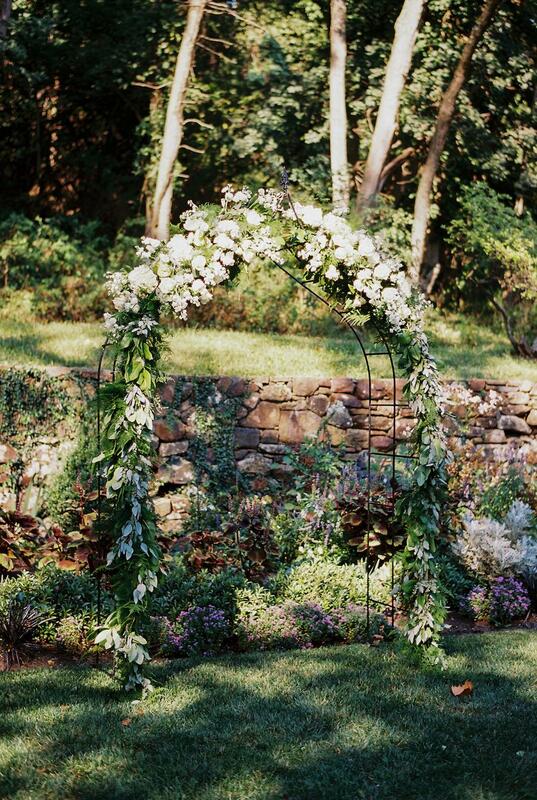 The base of the arch looks like it’s sprouting out of the ground, and the greenery paired so well with the eucalyptus and white garden roses. 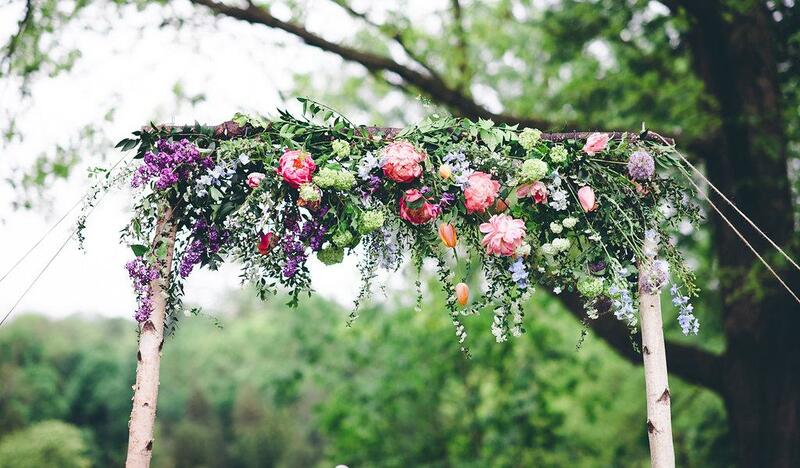 Wild Stems created a vibrant arch with an array of flowers from peonies to tulips. 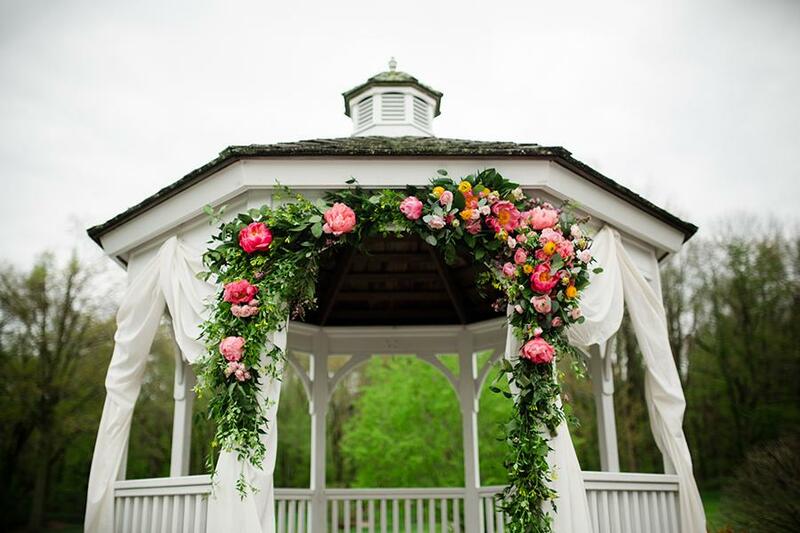 Almost every color was incorporated into this beautiful arch and the chromatic effect is simply radiant. 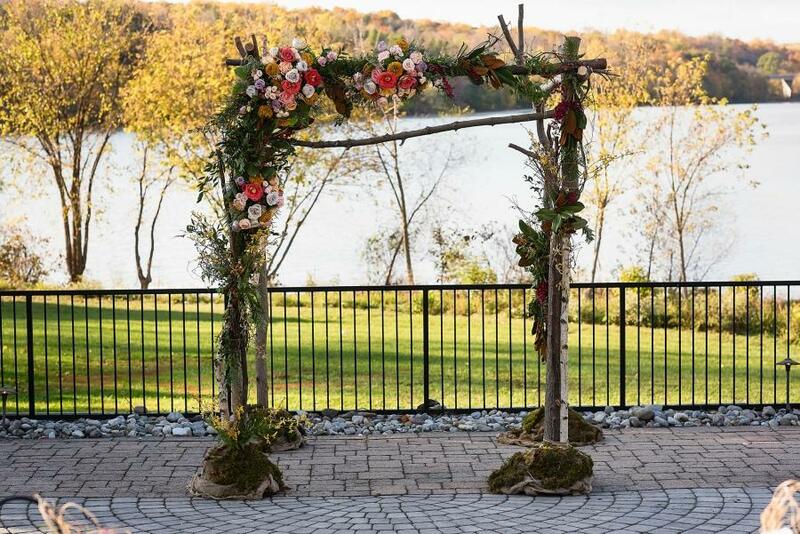 Buttercup by Jeffrey A. Miller Catering incorporated the changing colors of fall into this lovely rustic arch. 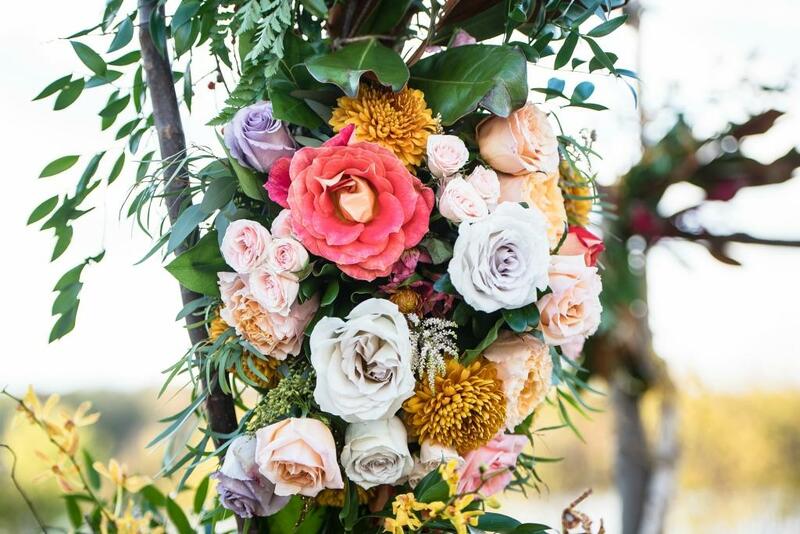 The season’s foliage is intricately depicted through the Magnolia leaves and colorful blooms. 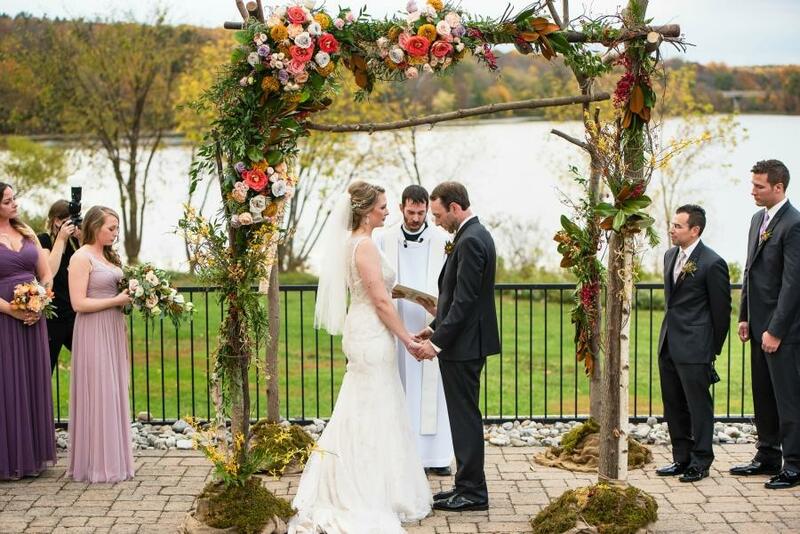 Kremp Florist pulled off one of the most amazing arches we’ve seen! 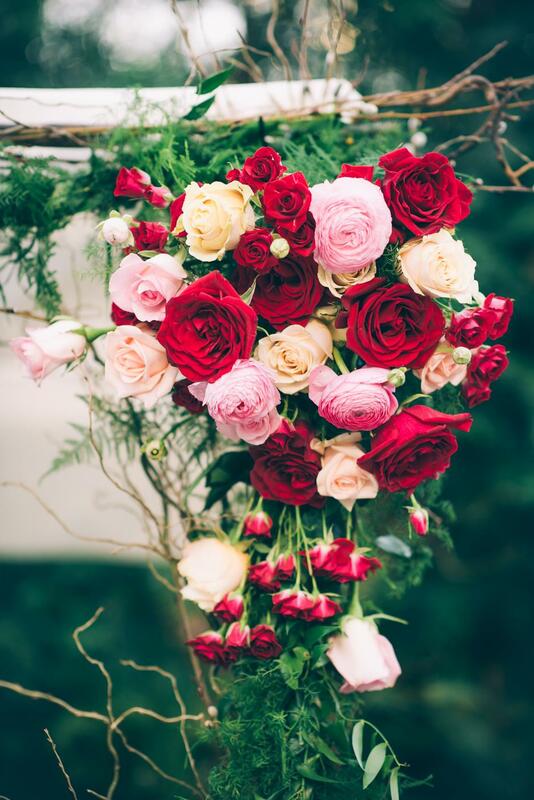 Red, pink, and cream roses were the focal point of this creation, all combining to result in a romantic backdrop for this couple. 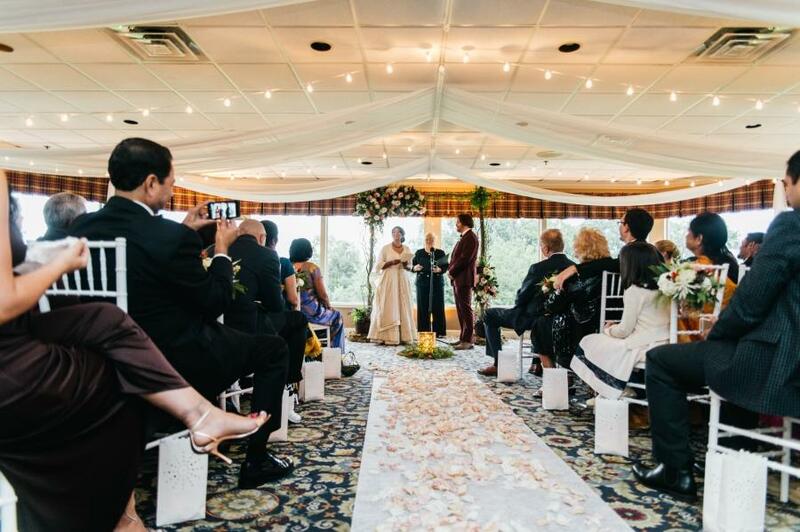 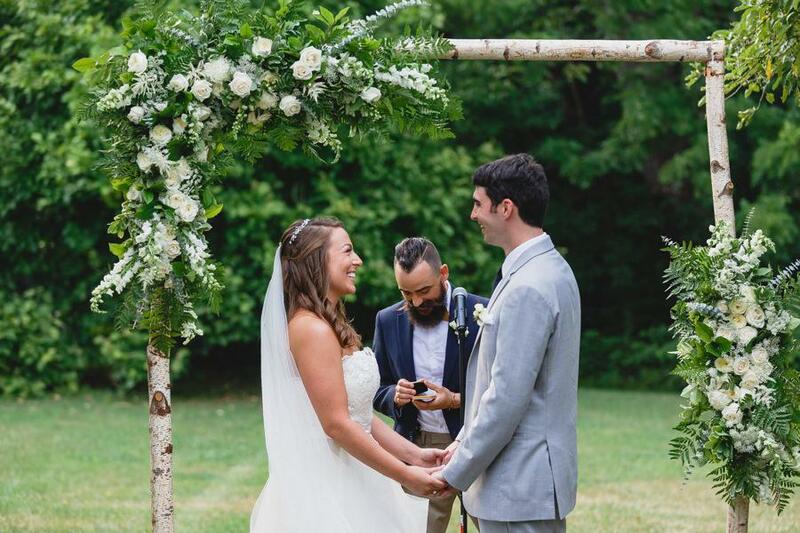 Green Meadows Florist did such an amazing job creating this couple’s arch. 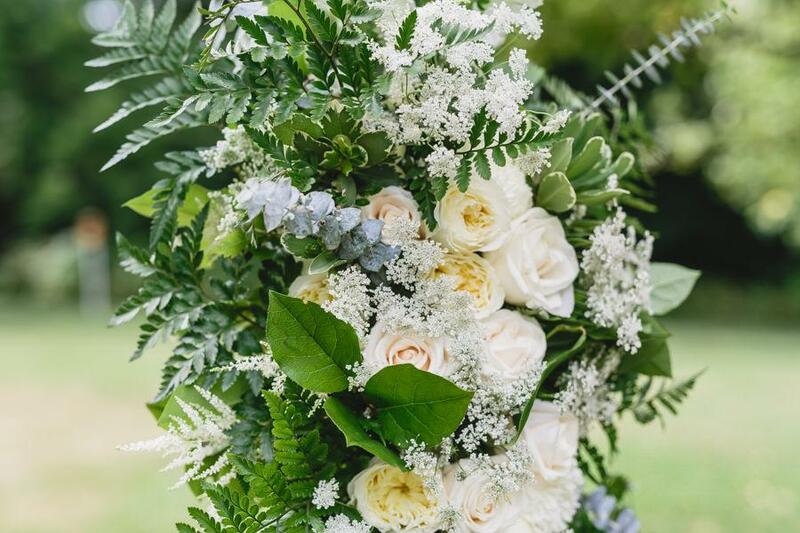 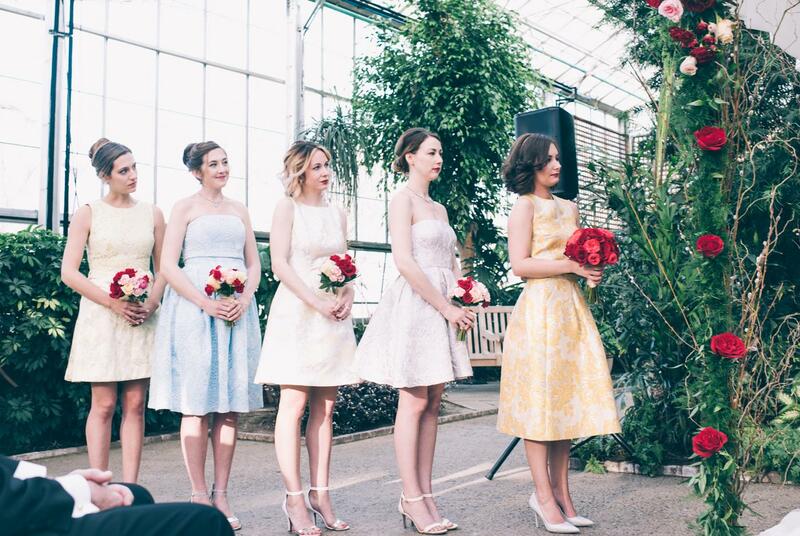 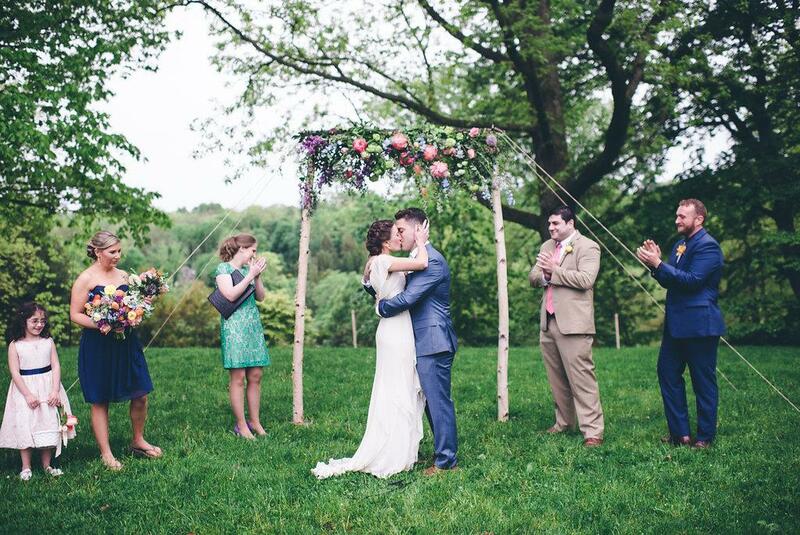 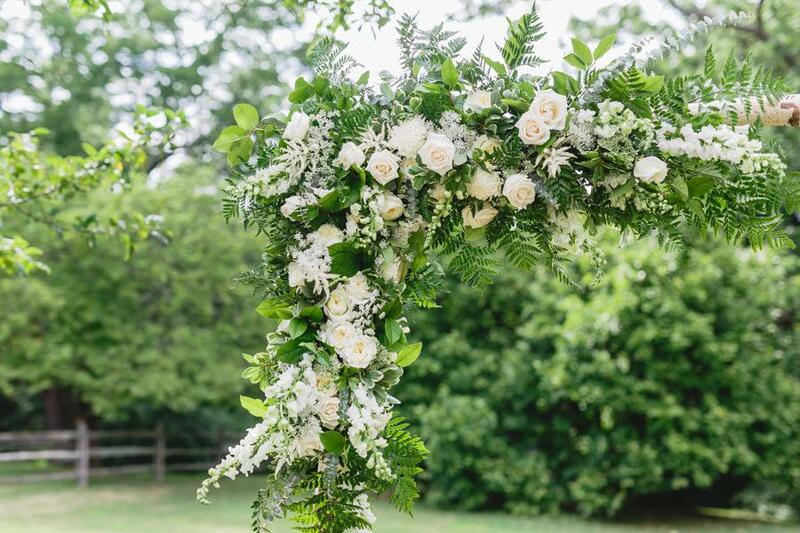 We love the wire base that was was full of greenery and a sea of lovely white blooms!